The spheroidal shape of the earth makes degrees of latitude in the north longer than in the south. 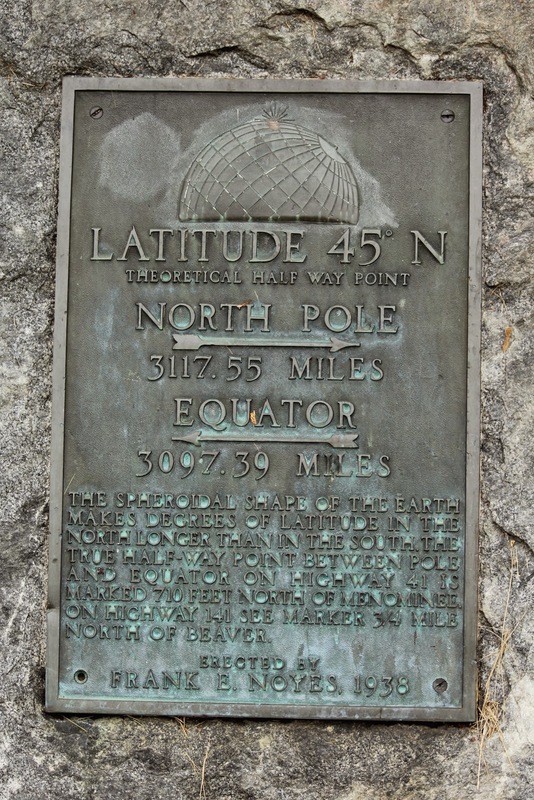 The true half-way point between pole and equator on Highway 41 is marked 710 feet north of Menominee on Highway 141. 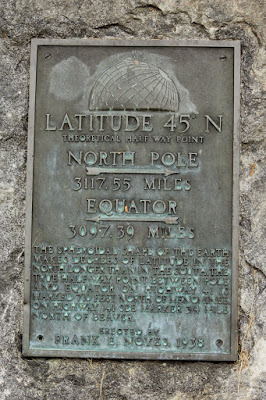 See marker 3/4 mile north of Beaver. The marker is at a turnout on the southbound side of Highway 41, between Votava Lane and Reif Road, near Pestigo, Wisconsin 54157.